‘Bad credit mortgage rates’ is a term used for mortgage rates offered to an applicant who has bad credit. Lenders won’t advertise bad credit mortgage rates. Nonetheless, some lenders will have rates and products available to applicants with bad credit. Bad credit can have so many variables, so it’s almost impossible for a lender to advertise rates available specifically to you, without assessing your circumstances beforehand. This is why there aren’t any bad credit mortgage rates which you can find displayed. The aim of this article is to show you which bad credit mortgage rates you may be eligible for depending on your circumstances. Below is a list of key factors which have a direct correlation with your overall profile and can affect your mortgage rates (in no particular order). In the below article you’ll find further information on exactly how each of the factors above can affect the mortgage rates offered to you. We will still refer to them as bad credit mortgage rates. This is because you may not be offered best-buy rates that are open to everyone else. As a result of your bad credit, you may only be eligible for mortgages with higher rates and fees. You may only be given a mortgage by a sub-prime lender if your credit is really bad. Sub-prime lender rates tend to be less desirable than the general mortgage rates on the market. If you wish to know what rates you’ll be eligible for, you can make an enquiry with an advisor today who can provide you with accurate guidance. The aftermath of the credit crunch in 2008 left the mortgage market in a nervous wreck. Some lenders left the market altogether, while others only approved mortgages to applicants with large deposits and squeaky clean credit files. 2014 saw a resurgence of lenders entering the market, which also saw an increase in lenders entering the adverse credit market. As a result, this made the mortgage market competitive once again. A competitive mortgage market is great for borrowers, especially those with bad credit, as the likelihood of getting a mortgage drastically increases. Lenders have since stabilised and with the Bank of England interest rate still considerably low, (despite the increase in 2017) the mortgage market is flourishing. How does this affect bad credit mortgage rates? If you look at current mortgage rates, there are some great products out there. Low fees and great rates prove just how confident lenders are feeling. This confidence has also funnelled through to the bad credit market. Bad credit mortgage rates still tend to be quite competitive when compared to previous years. The newfound confidence in the bad credit mortgage market means that borrowers with bad credit issues such as CCJs and even repossession, can still get a mortgage without having to put down extremely large deposits, which was once the case. Furthermore, borrowers with minor adverse credit are often able to get similar mortgage products to those with clean credit. Even borrowers with severe credit issues are still able to gain access to some pretty great mortgage rates. Which bad credit lender is the best? When it comes to bad credit mortgages, each individual case is assessed very differently, as no two cases are the same. Bad credit issues can vary so much from CCJs, bankruptcies, repossessions, defaults and a lot more! So there isn’t one particular lender that would be the best for everyone. The chances are that there will be a specific lender tailored for you based on your individual circumstances. This isn’t just the case for bad credit mortgage rates, most mortgage cases are different, even those with clean credit. One borrower may be self-employed for example but suited to certain lenders based on their individual circumstances. Each lender has its own unique criteria for when they assess a mortgage application. For this reason, it’s vital to establish your lender’s criteria before submitting an application. This is because based on your circumstances, some lenders may be more likely to decline, with others more likely to give you the green light. What are each lender’s criteria? It’s very difficult for someone who needs a mortgage to check every lender and their criteria. Lenders unfortunately don’t make their criteria public. For this reason, borrowers tend to use mortgage brokers in order to find them a great deal. In the bad credit mortgage market, a lot of brokers either don’t have the knowledge or expertise in adverse credit. 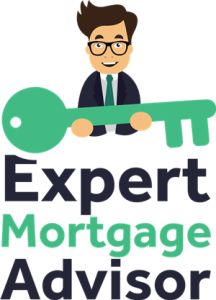 Therefore inexperienced brokers can apply to lenders they’re used to dealing with or have a preferential arrangement with. This often results in applications being declined and leaves bad credit borrowers in a difficult position, thinking they’ll be declined everywhere. If a mortgage is approved through potluck, you may still end up with a mortgage that isn’t necessarily the best deal available to you. All of our advisors are specialists in adverse credit mortgages and aren’t tied to any specific lenders. You can make an enquiry with a bad credit mortgage broker who can talk you through on what to do next. We have access to the whole market and can start matching you to potential lenders today. The reason the Bank of England interest rate affects mortgage rates is that mortgage rates tend to follow it. For example, each lender will have its own rate, in addition to the Bank of England interest rate. You may think that this applies to tracker rates only, but it also applies to fixed rate mortgage products too. The reason mortgage rates are currently low is because the Bank of England base rate is low. As mortgage rates are so low, this allows borrowers with bad credit in 2019 to get a mortgage which is still at a relatively great rate when compared to previous years. Those with bad credit will often only be offered mortgages with slightly higher rates than standard mortgage products. If credit issues are quite severe, then mortgage rates tend to skyrocket, hence the term ‘bad credit mortgage rates’. If the Bank of England interest rate was high, then getting a bad credit mortgage with a great rate would be near enough impossible. 2019 is a great time to secure a mortgage, especially if you have bad credit. Not only is the Bank of England rate still low, but there’s a lot of confident lenders to choose from. The loan to value (LTV) is the size of the mortgage loan compared to the value of the property. If you had a deposit of £20k and the value of the house was a £100k, you’d need an £80k loan. This specific example would indicate that you’d need an 80% LTV mortgage. If you had a £30k deposit, then you’d need a 70% LTV mortgage and so on. When lenders assess an application, their assessment is based on how much risk lenders are taking. Many lenders will assess the ‘worst case scenario’ for each application when making their risk assessments. For example, if the borrower defaulted on paying the loan back, what would the lender do? Lenders will try and recoup their loan if it wasn’t paid back, which largely depends on the size of the loan and the value of the property, in other words, the LTV. Mortgages are secured loans, so the security that lenders have is that they’re securing the loan against the property and its value. 95% LTV products generally carry unattractive rates, whereas 65% LTV products usually have very low rates. Lenders are in a much stronger position if the borrower has a larger deposit. That’s why applicants with bad credit generally require higher deposits, to minimise their already risky application. In addition, borrowers with bad credit will tend to pay higher rates to again minimise lender risk. One credit issue will of course make you higher risk when compared to a borrower with no credit issues. Having more than one credit issue will therefore put you at an even higher risk. Multiple credit issues usually mean that getting a mortgage is still very possible, but can prove more difficult than maybe having one or two credit problems. Borrowers with multiple credit issues generally need to pay higher deposits as well as accept higher interest rates in order to be approved for a mortgage. What’s important is to check your credit files in order to see what’s actually registered on your name. It’s vital to check all three of the main credit agencies such as Equifax, Call Credit and Experian, as this is exactly what lenders will do. Checking your own credit file won’t harm your credit score or leave a footprint of any kind, but will give you an informed idea of exactly what lenders will see. The type of credit issues you have will also affect your mortgage rates and chances of approval. In a nutshell, the more severe your credit issues usually mean an increase in mortgage rates. Less severe credit issues would include having no credit history and a low credit score. Credit issues such as these aren’t a major cause of concern and mortgage rates shouldn’t be affected by much. If you have adverse credit issues such as late payments, mortgage arrears, defaults and CCJs then credit issues are deemed more severe. That being said, you should still be able to get some pretty competitive rates, especially with a large deposit. If you’ve got a debt management plan (DMP), this can ring some alarm bells but also shows lenders that you’ve got a plan for your debt and you’re facing it head-on, rather than letting debt get the better of you. The most severe type of credit issue will either be bankruptcy, IVAs or a repossession. It’s still possible to get a mortgage, however the rates offered tend to be higher than the industry average, even with a large deposit. Every case is different, a bankruptcy that took place ten years ago is a lot less severe than multiple CCJs being registered only a month ago, which brings us on to our next point. The timing of your credit issues and more importantly the official dates they were registered on your credit file, play a huge part in the mortgage rates that’ll be available to you. Recent credit issues will impact your credibility a lot more than credit issues of the past. Credit issues that you experienced over six years ago, usually result in you being able to obtain the same best buy rates as borrowers with clean credit. This is because credit issues that took place over six years ago usually don’t appear. We say ‘usually don’t appear’, as some lenders will go back further than six years and will decline particular credit issues no matter how historic they are. For instance, lenders such as Santander will decline any applicant that has ever had a bankruptcy. On the other hand, some lenders may only go back three years. If you’ve had a CCJ in the past two years and ‘Lender A’ only accepts CCJs three years or more and ‘Lender B’ is a specialist adverse credit lender who will accept CCJs after twelve months, then you’d of course place your application with ‘Lender B’. However ‘Lender C’ may also offer a mortgage and at a much better rate, but you were not aware of ‘Lender C’. In reality, it’s difficult for the public to know which lenders accept what types of bad credit, let alone that you’re getting the best rate. Expert mortgage advisors should know each lender’s criteria like the back of their hand and pinpoint the best rate with a lender that’s more than likely to approve you. 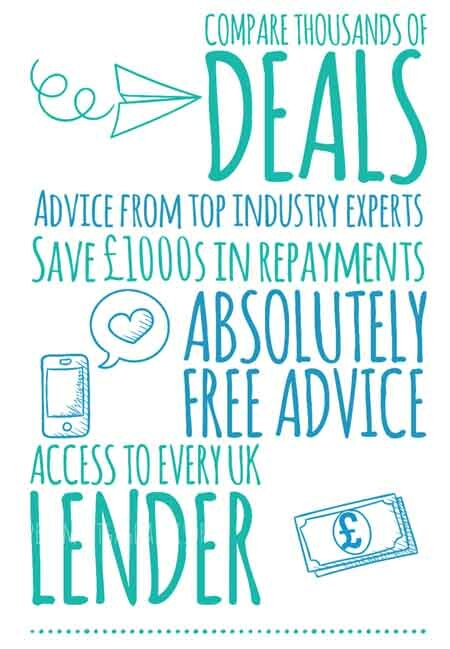 All of our specialist advisors always work to getting the best bad credit mortgage rates and place applications to the best-suited lenders, subject to your circumstances. As the market is constantly changing, so are products and rates. Changes are daily and as experts in the field, we’re constantly in the loop. That’s because we’re in contact with lenders and underwriters from day to day placing mortgage applications. Utilising the experience and knowledge of a broker could save you a lot of time and money. Going head first into the mortgage market with bad credit is highly unadvised. Learn more about adverse credit brokers here. Settling past debts will certainly have a positive impact on the mortgage rates you may be offered. Certain lenders will point blank refuse borrowers if they still have unsettled debt. Other lenders will still consider mortgage approval even with unsettled debt. Some specialist adverse credit lenders don’t pay any attention to whether or not your credit issues have been settled. However, this doesn’t mean to say that specialist lenders don’t have criteria. Specialist lenders will usually assess bad credit borrowers on when credit issues were registered and more importantly your financial conduct since. For this reason, debt settlement has no impact on the interest rates offered. With more severe credit issues such as bankruptcy and repossession, lenders assess if debts have been settled, outstanding or written off, which will impact the mortgage rates available to you. Depending on your credit issues, certain lenders may not be available to you. This means that looking at best buy deals and the latest mortgage rates could be a waste of time. Advertised mortgage rates are generally intended for borrowers with clean credit files. There’s no harm in keeping up to date with current mortgage rates, but when you’re thinking about applying for a mortgage, it’s important to understand that not all rates may be available to you. That doesn’t mean bad credit issues will definitely mean you won’t be eligible for good rates, as it all depends on your individual circumstances. Generally, high street lenders tend to avoid anything to do with bad credit. The good news is there’s still a lot of lenders who consider borrowers with bad credit. Light bad credit issues such as little credit history or a late payment shouldn’t be enough to deter the majority of lenders from considering you and usually offer very competitive rates. As credit issues become more severe, fewer lenders become available, which can make bad credit mortgage rates less desirable. Bad credit isn’t the only thing that can make your application appear high risk to lenders. Clean credit applicants can also struggle to obtain mortgages, as credit checks are only part of a lender’s assessment. You can have the highest possible credit score and still be declined a mortgage, simply because the rest of your application is too weak. Having an overall balance is key in obtaining a mortgage and being offered preferential rates. Lenders all have their own specific criteria, so this is not an exhaustive list. There are many other things that could affect the bad credit mortgage rates available to you when you apply.